It’s AROnline‘s favourite special edition Mini – and for good reason. When people discuss special edition Minis, the popular perception is that this is phenomenon that kicked off during the late-1980s in order to sell more cars. But pretty much from the moment the Mini was launched back in 1959, dealers as well as its maker built bespoke and upgraded versions. 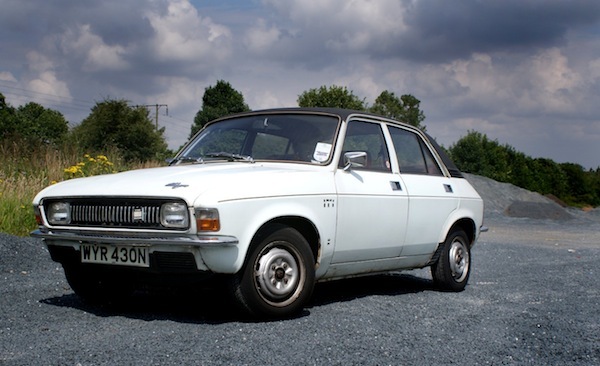 However, it’s the 1979 20th anniversary edition – the 1100 Special – that probably remains AROnline‘s favourite of all. 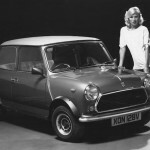 The 1100 Special was launched in August 1979 the celebrate the Mini’s 20th anniversary. Unlike most that came before, the 1100 Special was mechanically, as well as cosmetically, upgraded. 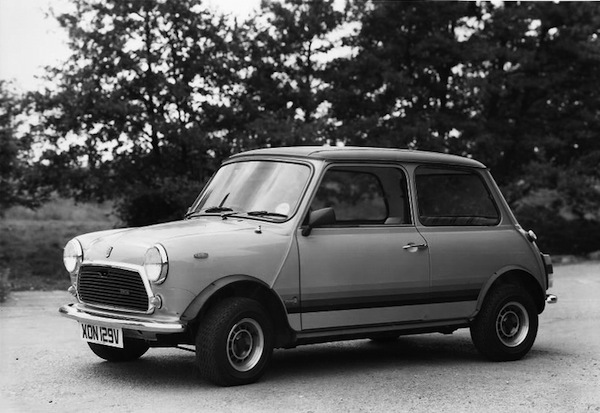 Powering the car was a 1098cc Clubman-specification engine, pushing out 45bhp and 57lb ft – and was the only non-Haynes fronted Mini to benefit from the 1100. Visually, the 1100 Special was spot-on. It boasted metallic paint, graduated stripes, wheelarch extensions and stanard-fit alloys. 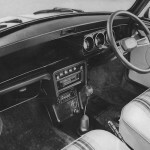 Inside, it was equipped with the 1275GT’s instrument pack, and full-depth centre console. 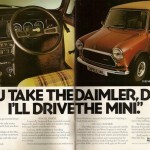 Contemporary advertising put it so well (underneath a very fetching interior shot) with its a pithy tag-line, ‘You take the Daimler dear, I’ll drive the Mini’. Exaction 10in (often referred to as 1100 Special alloys), Innocenti wheelarch extensions, side indicators (mounted higher on the wings and longer in length than most mini models), 1275 GT instrumentation, radio, Clock and cigar lighter. News : EU-wide MoTs – call to action! Was this a regular production model for Europe pre-79, but sold as a special edition in the UK? I dont remember this Mini 1100 Special being available back then, but agree it does look good in these photos and the upgraded features sound useful. Pity the images are B&W but never mind… we can imagine what the colours would look like. In Europe we had Belgian built 1100 Specials before that. Without the alloys and stripes. For a while these seemed the most common Mini around. Forgot to mention:1100 Special came with a Vinyl roof in Europe. I do remember this model back when I was a wee lad of 10 summers- it seemed really exotic to me then, as ‘limited editions’ meant more in those days than ‘uprated wheeltrims, a silly name, and a sunroof’ on a base model. 10 year old me thought this was a very desirable car- and the 43 year old me agrees. Chris Linford is right . The idea for the UK 1100 special came from the Seneffe produced Mini’s . At the 2011 International Mini Meeting in Switzerland there were loads of Belgian built Mini Specials . As I understand it , Continental dealers were not too keen on the Clubman , so Seneffe obliged by producing a car more to their tastes . 2nd favourite Mini after the Paul Smith LE….it looks great on the special 10″ alloys. Is that an Innocenti steering wheel? Still looks fab today. Always loved those alloys. There were actually some unofficial non-Clubman nosed Minis that were able to benefit from having the 1098 engine fitted. Apparently, due to the various niggly stoppages and strikes at BL in the late 70s & early 80s (management refusing to buy extra packets of jammy dodgers & the like), to keep the Mini line going if there were too few 998 engines available, they’d slot in a 1098 instead. I’m not sure how many there were that made it out into the wild, but my cousin had one from new in about 80/81 using his Dad’s ‘staff voucher’discount thingy. A bog standard Mini with a handful of extra CCs under the bonnet, nice. I never understood why the excellent centre console was not offered on subsequent versions. 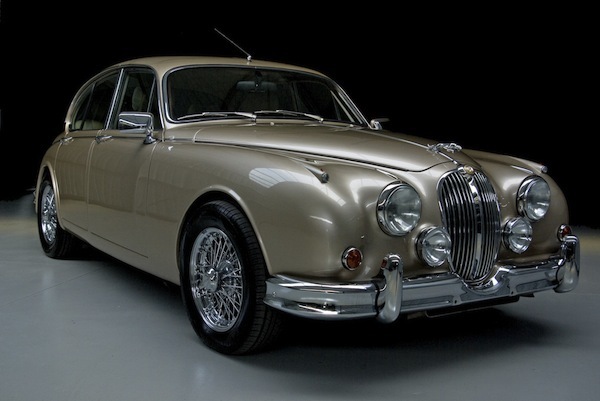 They should bring back Daimler. One of my favourite Limited Edition Minis! 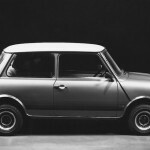 (wrongly but commonly known as the Mini 20) It was the poshest Mini ever sold in Britain at the time, and for the forceable future of Mini production, even by Mini Cooper standards. Not even the Chelsea, Piccadilly, or Park Lane LE’s could not match it for spec. It is correct that this model was a run of the mill production model for export markets, albeit with one or two differences. Britain lapped these 1100 Specials up proving britain wanted the higher specified Minis. It was only in the 90’s that BL/Rover realised that was what Britain wanted. 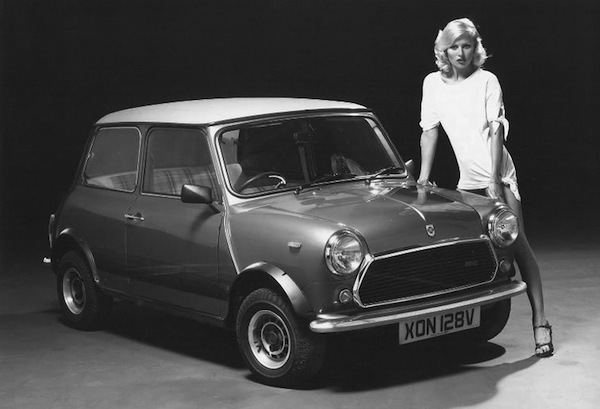 Interestingly, not only was it the only ‘Mini shaped’ model to (officially) have the 1100 engine, it is the only Mini in the UK to use the Innocenti front wings for the indicators to be located in that particular place. The indicators too are off the Innocentis. The 1100 Special also uses the Clubman bumpers, first to get wheel spats, only to get a centre console, and only to receive a vinyl roof. 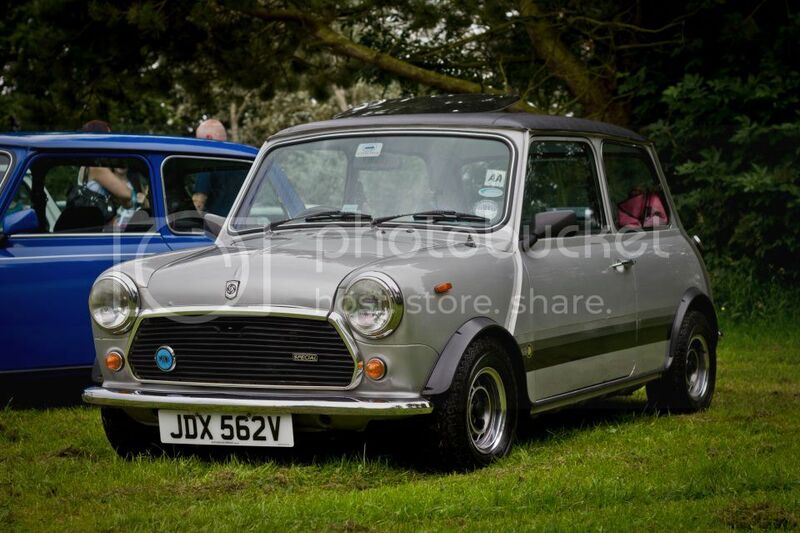 Someone I worked with had one of these before I knew her, she hadn’t a clue what Mini it was, and so was very confused as to why I was getting excited about it when she was describing it to me. I wasn’t so excited after she told me her husband blew it up and scrapped it. Obviously there are many more, but these seem to be the ones most revered at the Mini shows. The 1100 Specials numbers have not survived well, so it is always a pleasure to see them mint at a Mini show. They hold their value too compared to some of the LE Minis produced. This could have really been a hit if British Leyland wanted it to. 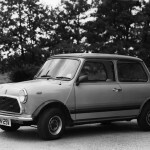 When the range was rationalised in 1980, there should have been the Mini 1000 City and the Mini 1100 Special, with an estate option. 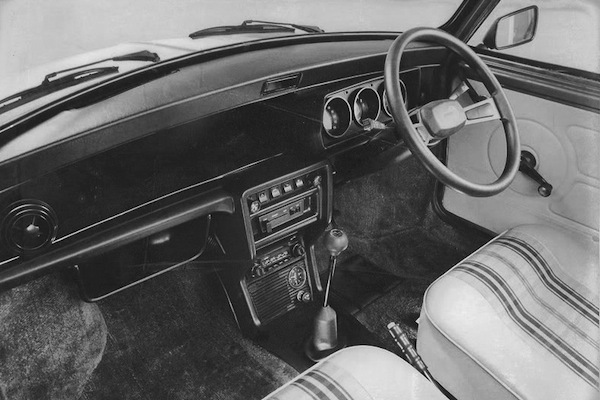 Rather like the BINI became in the noughties, a luxury Mini could have become a real cult item as it combined the looks of the 1959 model with, at last, a modern dashboard. However, as usual British Leyland shortsightedness, condemned this interesting car to be nothing more than a special edition. Anyone know how many survive? God I never knew it had that console…..and why didn’t it become a feature on the posh versions. Yep, I too remember liking these. As pointed out above, why wasn’t the centre console made standard fit on later, posh versions? And, is that an extra storage box on the passenger side which again could have been fitted to other versions? we have a mini 1100 special….and here it is! How to share pictures ? there are around 10 silver mini specials left that are in showable condition, probably a few more rose colured cars but the silvers are the most sought after. As much I agree with your shortlist of desirable Mini special and limited edition derivatives, there is one rather obvious limitation of them – they are all premium-priced and positioned propositions. At a slightly ‘lesser’ level, some of the variants based on the entry level trim were also quite appealing. Remember the 1983 Sprite, the 1992 British Open Classic with electrically operated Britax sunroof, Advantage based on a tennis theme, Chelsea and the Red Hot? Even the Sky, Rose, Racing, Check-Mate of the late 1980s and more recent Equinox were quite appealing, despite being about colour and trim rather than additional equipment. Even the 1992 Mini Italian Job was rather nice, not to mention the Mini Classic Seven. Your premium list did not mention the ERA Turbo which had some rather appealing trim features for the interior which sadly never made it onto more regular variants in the line-up. The girl’s hot. But 33 years later the Mini still looks good. A friend of my brother had one brand new in 1979, I was 14 at the time and most impressed! Your car really does look good! Seeing a modern photo of one really makes you realise how well equipped and stylish it looks even now, never mind over thirty years ago. It just looks so right. As others have also said, I too cannot understand why it didn’t become a standard model. It makes the later Mayfair look decidedly underwhelming. It has all of it’s original sundym glass, someone has had a sunroof fitted at some point and there are also 80’s kangol aftermarket rear belts fitted, when we got the car the wheels were very poor, I found a set of nos wheels and tyres which are now on the car, the engine has been upgraded to the (optional at the time) ST spec with big valve head and twin carbs as well as a Kent cam and RC40 exhaust, the engine produces 75 bhp. The rear of the car is as it left the factory in 1979 and has not been restored. @Paul. Very Nice, Ive probably dribbled over it at Mini shows (or Ashby Folvile car and bike meet?) As I’ve stated before I really love the 1100 Special. @David 3500. Yes it is true there were many nice Special Editions based on the City and later the Sprite models, I like the Tahiti and too the Italian Jobs, but I only mentioned the upmarket, and admittedly priced at a premium, models as these prove that the posher Minis sold better and these ones are still looked after, hold their value and are remembered more now than say the Neon. Many City/Sprite based LEs have been modded and changed so much you can’t recognise them to make them more upmarket. I didn’t mention the ERA as I forgot oops. The British Open Classic was my other oversight. 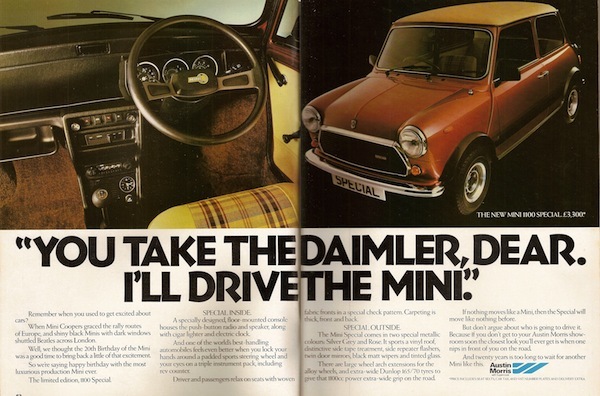 But whichever Mini you bought after 1980 you bought one because you wanted one as it was a niche market, and it was usually the Mayfair and later the Cooper people wanted. If you look at the mid and late 90’s large options lists for the Mini, it was all aimed at making them posher. Many owners bought at least one thing off the options list. As much as I like LEs, personally there is something special about the basic Mini models. Thanks for your comments on this, I genuinely appreciate them. As you say, it was the increase in the range of available factory options and, more importantly, accessories that increased revenue for the company as there is big money to be made out of accessories and options. Cetainly the plethora of accessories and accessory option packs from October 1996 really did see the Mini taking an explicit ‘onwards and upwards’ approach, which helped pave the way rather nicely for the BMW-led MINI in 2001. Trouble with these SE variants is that I can’t drum up any enthusiasm for the rather diasppointing Mini 35, even though the exterior colours were nice. Then again you can’t please everyone, not even with LE/SE derivatives! Glad to be able to talk Minis. Limiited Editions or Special Editions were as you stated a marketing tool and people did get taken in by them. It was good publicity for rover to have something ‘new’ to offer at little expense to them, but could be sold at a profitable price. LE’s was circa 20% of Mini sales. It leaves me to wonder if that was 20% of the overall sales or an extra 20% of sales though. But either way even the Studio 2 and dismal 35 sold because of people wanting to be different as the Mini was nearly always a fashion accessory. Rover eventually realised. Again the higher end models like the Mayfair took a lot more sales than the City and around 25 of sales in the 90’s were Coopers. The 1996 Mini facelift and optional extras was BMW backed as they realised the Mini was valuable and it needed to be more refind etc the facelift was not for instant profit, it was as you say cleverly building up the Minis profile before the mini badged.. Umm bmw’s and to keep it legal. The extras and le’s was obviously to get as much money out of the product until the bmws. I’d love to resurch into the Mini and help provide something for the AROnline too! I presume you will be at Stanford Hall with it on September 9th ? Maybe we can persuade the webmeister to drag himself away from the Italian GP on the telly and come and see it in the metal ? I remember when these came out (although I was under the impression it was 1980, not ’79…) – I had a bit of a thing about Minis when I was a lad and these seemed like the business. Must be pretty thin on the ground these days but I have seen a very tidy Rose example at recent SVVC Glamis shows. I went to the A47 autojumble today and saw a lovely yellow T-reg Mini 1000 from 1979, totally standard and looking factory fresh. Even in its 20th year the Mini was still Britain’s favourite small car and I can understand why so many people still preferred it over more modern counterparts. And I did see Paul and his nice car. Had a great day out at Stanford hall and Paddy Hopkirk presented the prizes. I had this mini in Rose and it still remains my all time favourite car. I had walnut extras, slatted rear window , flared arches and tiny bull bars……loved that car so much. My neighbour has a silver LE mini 1980 in mint condition. All original. It has 20000 miles on the clock and it hasnt been on the road in 10 years. It is exactly as it came out of the factory. He is 67 and was considering selling it, but only to an enthusiast who would look after it. What price do you think it would fetch and are anybody interested. He is a decent bloke and i wouldnt want to see him ripped off of course. In the mid eighties I had several Mini Special’s. First one was a 1976 Special, with center console speedo in metallic blue with a black vinyl top, second was a 1977 “sand glow” brown car with black vinyl top ( last year of center speedo ) , third a red 1979 with also a black top and ugly clubman speedo box. Besides these 3 I had several others like a 1300 Innocenti and an 85o longstick at the same time. But I loved the perfect fabric seats without silly headrests the tinted glass and an engine with its max torque already at 2000rpm. In these days you could not get – and run – a cheaper car in Germany than an 8 years old Mini, rusty Specials being the cheapest you could buy. Perfect students car, far better tahn a VW beetle I found. I once bought one ( approx 250GBP ) just for its mag wheels and new tyres which at the end had just 60000km on the clock and was second hand. And it was always a torture to get MOT as the vehicle testers were keen on telling you it was not worth to repair. So I would really wonder if a metallic-blue -green -sand -silver car with the original colour and vinyl top and its sponges under the carpet survived. Since 1977 the Belgian Seneffe plant of BL launched the Mini Special with an 110 engine. It had a different palet of colours, a vinyl roof, tinted windows and sporty hubcaps and the Inocenti taillights with reverse lamps. The upholstery was also an improvement on the stadard Mini. They also used French Cibie headlights instead of Lucas units. The ‘Seneffe’ Special was a normal production model, but it gained a lot of popularity especially in Holland (where I live) , you got more Mini for slightly more money and they were really cute. Approx 74000 units were produced in Seneffe. I also added a 1275 GT exhaust system. This made the car much more punchy and certainly less stressful to drive. After 3 years I sold the car due to starting a family. However after about 5 years I hankered after a car project and in 1989 I bought another Mini Special, again in silver. This time I decided I would put into the car what it should have had in the first place a 1300GT unit with a close ratio gearbox. I was fortunate to find a brand new 1300GT block and a very good condition 12G1805 head. The engine was built to S spec, which meant putting in a 510/542 cam and M needles in the HS2 carbs, I stayed with the 1300GT distributor and mated the engine to a 3 branch Maniflow exhaust manifold and RC40 exhaust system. Converted the front brakes to discs so it stopped a bit quicker! This really made it an enjoyable car to drive, so much better that the 1100 unit even with the stage 1 head on it. If BL had the foresight to do this in 1979, instead of selling 5100 cars, they could have sold 20,000 plus. That would have made it a true Mini Special. We have a silver special which was refurbed a few years ago but is now metallic pink with a unuion jack roof. Will probaby put it back to original colours in about 10 years. Burberry interior will be the tricky bit. Just come across this whilst reading back through the old blogs. I had a silver one of these as my first car as a seventeen year old back in 1987. Bought it from Singleton garage, (near Blackpool). Y D E 53V as I recall. Great little car and wish I still had it now. Sold it in 1988 but then turned up again sat rotting on a driveway in Layton, I think right up to the mid 90’s. Use to see it every day when driving round to my girlfriends house. Wonder if it still exists? good day paul,i have one of these mini 1100 specials in my garage,it was refurbished in 1994,all rust removed and resprayed,it has been dry stored ever since,it has all the bits and pieces it should have,and the original log book.i think with a nice clean and the mechanics checked out she would be a real eye catcher,could be so kind as to tell me what they are worth these days.i could sell it at a push.thanks. John mills, could you contact me at pauljeffries20@yahoo.co.uk regarding your mini.special, thanks. I had one of these!!! A rose one, my first ever car!! I loved it so much! There is one here on Jersey that looks immaculate!! Yes, why was the enormous central speedo in the original Mini replaced by the creaking binnacle in later versions? 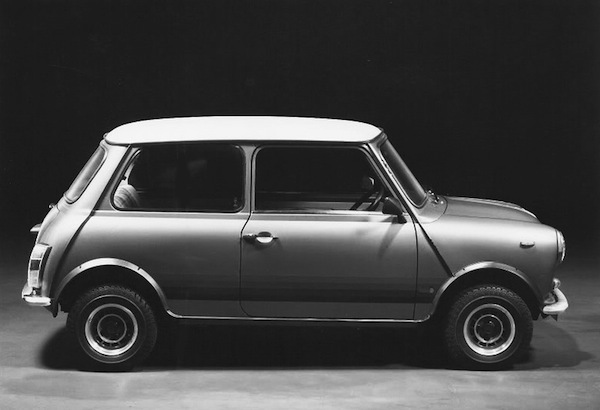 BMW reinstated it when they launched the MINI. I presume by the late 1970s the central speedo was looking old fashioned & drivers wanted the dials to be closer to their eye line. I had a rose version ..my first car too ..love love loved it ..in fact would love one again now if I could find one !